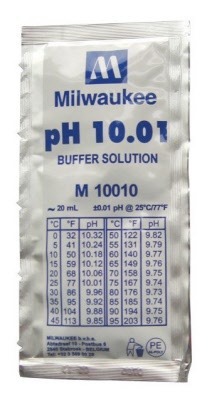 Looking for pH buffer solution to use with your Milwaukee pH tester? You've come to the right place. This order includes 25 20mL packets of M10010B pH 10.01 Buffer Solution.